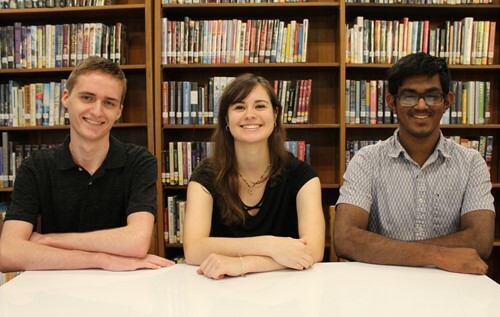 Three Bethel Park High School seniors were named Commended Students by the National Merit Scholarship Corporation in its 2019 National Merit Scholarship Program. Achieving Commended status were Joseph Bilski, Julia Herrman and Jerry Varghese. They earned this designation by being among the top 50,000 scorers on the Preliminary Scholastic Aptitude Test/National Merit Qualifying Test, which they took last fall as juniors. These students received Letters of Commendation from the National Merit Scholarship Corporation in recognition of their outstanding academic promise, and they may be candidates for special scholarships provided by National Merit corporate and business partners. Approximately 1.6 million students in more than 22,000 high schools entered the 2019 National Merit Scholarship Program by taking the PSAT in 2017.